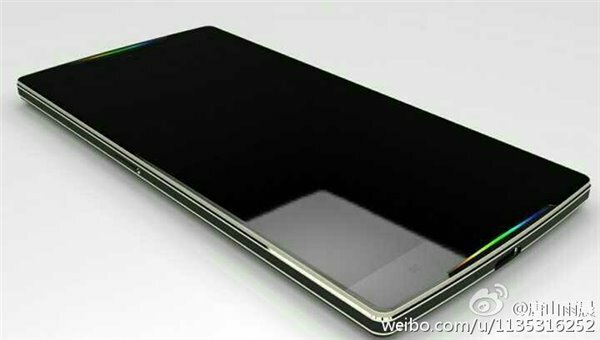 A new render alleged to be of the Oppo Find 9 has surfaced online, revealing some of the design elements of the device, including a 2.5D front panel glass. While the Oppo branding isn't visible, the distinct notification LED strip (dubbed Skyline Breathing Light) does suggest it's an Oppo phone. As for specs, latest rumors say the device is powered by Snapdragon 821 (aka SD823) SoC, and sports a 5.5-inch QHD display. It's said to come with a whopping 8GB RAM and 128GB storage, while the camera department is handled by a 21MP rear unit (dual-camera setup) and 16MP front shooter. Further, the phone packs in a large 4,100mAh battery (with Super VOOC fast charting), and runs Android 5.1 Lollipop out-of-the-box, although we hope it gets boosted to Marshmallow at least. A June unveiling was previously rumored, but that - as we all know - didn't happen.